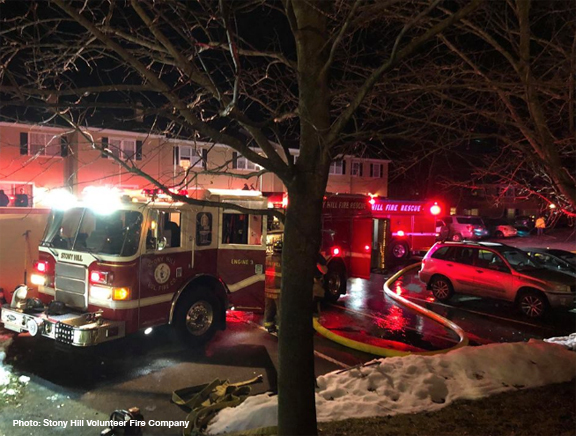 Just after 5:30pm today, Bethel and Stony Hill firefighters were dispatched to a reported structure fire in the Plumtrees Heights complex. Bethel Car 1 arrived on scene and confirmed a working fire. Bethel Police Department then began evacuating adjoining units. 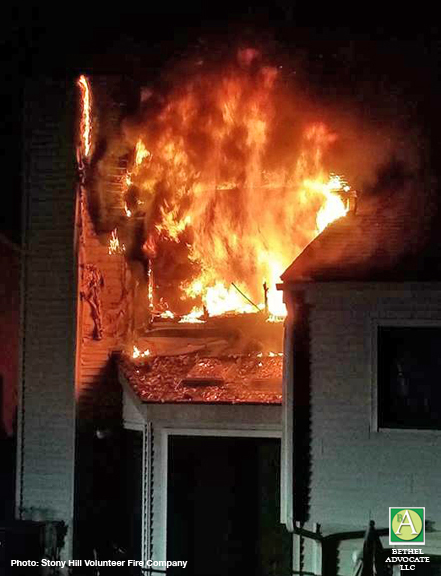 Crews were met with heavy fire coming from the rear of the condo on the second floor. Multiple lines were stretched and the fire was knocked down in approximately 20 minutes. Members remained on scene overhauling the unit and hitting hot spots. 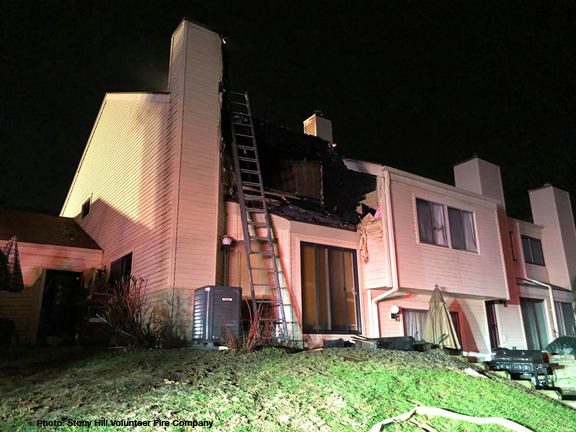 The fire damage was held to the unit of origin. The cause is under investigation by the Bethel Fire Marshal’s office. 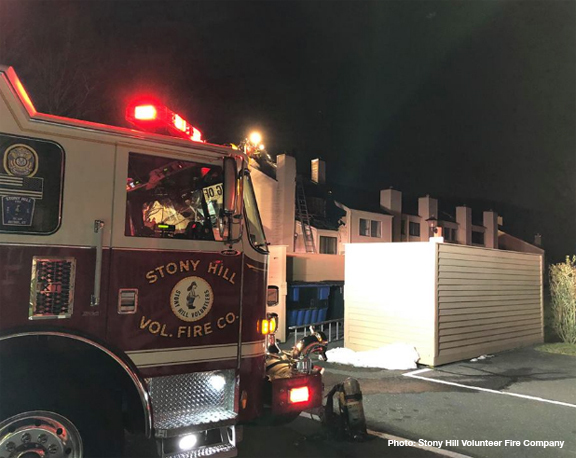 2 parties were transported to Danbury Hospital with minor injuries. Thank you to Brookfield Vol. Fire Dept. Candlewood Company Inc Brookfield Volunteer Fire Company and West Redding Volunteer Fire Departmentfor the station coverage.